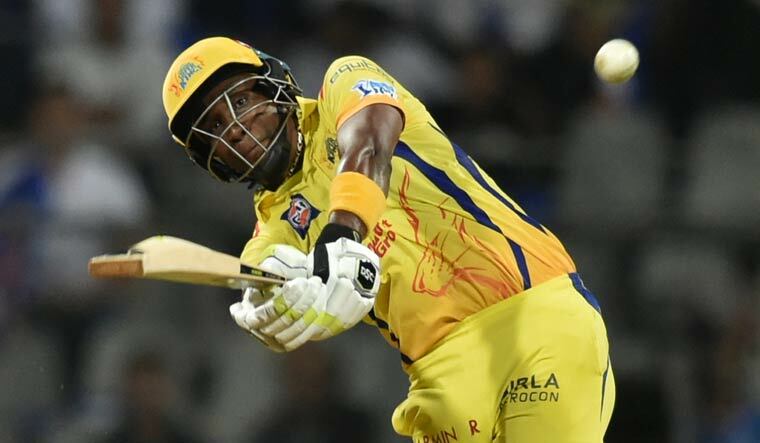 Mumbai sources reported that Dwayne Bravo batted like a 'champion' as Chennai Super Kings made a dream comeback in the Indian Premier League with a thrilling one wicket victory against defending champions Mumbai Indians. Meanwhile, when needing 7 off the last over, an injured Kedar Kadhav unable to run due to hamstring problem had played three dot balls before playing lap shot over fine leg off Mustafizur Rahaman followed by a cover drive to end the match on a winning note. Meanwhile when chasing a tricky target of 166 on a track that had seam movement and bounce, CSK were down in the dumps, but Bravo's incredible 68 off 30 balls with seven sixes turned it in favor of the 'Canary Yellow' brigade. According to sources the 18th and 19th overs bowled by Mitchell McLenaghan and Jasprit Bumrah were taken for 20 each including five sixes as Bravo once again showed why MS Dhoni values him so much. Further IPL's highest ever run accumulator Suresh Raina (4) didn't stay long as the India all-rounder got one to climb up from back of the length with the left hander giving an easy catch to elder brother Krunal Pandya stationed at the edge of 30 yard circle at mid-on.